St. Louis, Greenberg Gallery, Ken Price, January-February 1989, n.p. (illustrated in color). New York, Franklin Parrasch Gallery, Ken Price: Works from the Late '80s, September-November 2008, p. 11 (illustrated in color). As Satre has remarked 'Color is a man smiling, modeling, man in tears.' 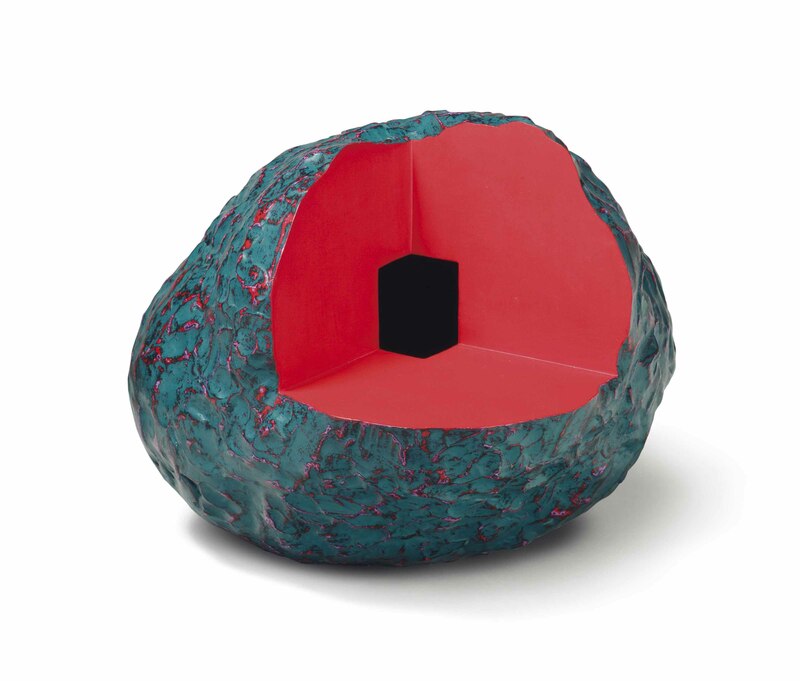 Price's work invokes to a remarkable degree a strange interplay between the joyful and the ominous.... whether he uses red, blue or green on any particular form is of little consequence. Yet Price introduces color with such an acute choice it seems almost to shape the form. He does not follow any historical lines of logic such as in folk art or advertising art, but goes back into the deepest and most buried parts of the human psyche in much the same way Brancusi did, to reinvent form. Price is practically inventing color itself at this deep and most basic of levels. -J. Coplans, "The Sculpture of Kenneth Price," Art International, March, 20, 1964, p. 33.